Serving as a District Leader is a great responsibility, but an exciting opportunity to further develop your communication and leadership skills. The District Leadership Committee (DLC) is seeking Nominations for the roles of Division Director, Club Growth Director, Programme Quality Director and District Director. See the Toastmasters International Website for for the Elections Toolkit. Deadline for candidates to declare intent to run is Friday 14 December 2018. After this date, the DLC will contact candidates to arrange interviews and will seek out other candidates as appropriate. 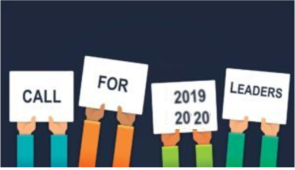 The final report of the DLC will be circulated to District Council members by 6 April 2019, 4 weeks prior to the District Council meeting on 4th May 2019, when voting will take place. Floor candidates may declare their intent to run after the DLC results have been announced. At the District Council elections, the following procedure will be followed in respect of floor candidates for the roles of district director, program quality director, club growth director, and division director. For each office, the district director inquires whether there are additional nominations from the floor. Floor candidates or, in their absence, their designees state their eligibility qualifications. Floor candidates must be nominated by a member of the district council or their proxyholder. Floor candidates provides a signed the Officer Agreement and Release Statement. The following roles are appointed by the incoming District Director – Public Relations Manager, Finance Manager or Administration Manager. If you would like to find out more about these roles, please contact any of the the current District Trio (Andy Hammond DTM, Florian Bay and Arnaud Sartre). Candidates will need to submit the official Candidate Application Form, the Nomination Form, and the Officer Agreement and Release Form to the District Leadership chair by the time of the interview process.